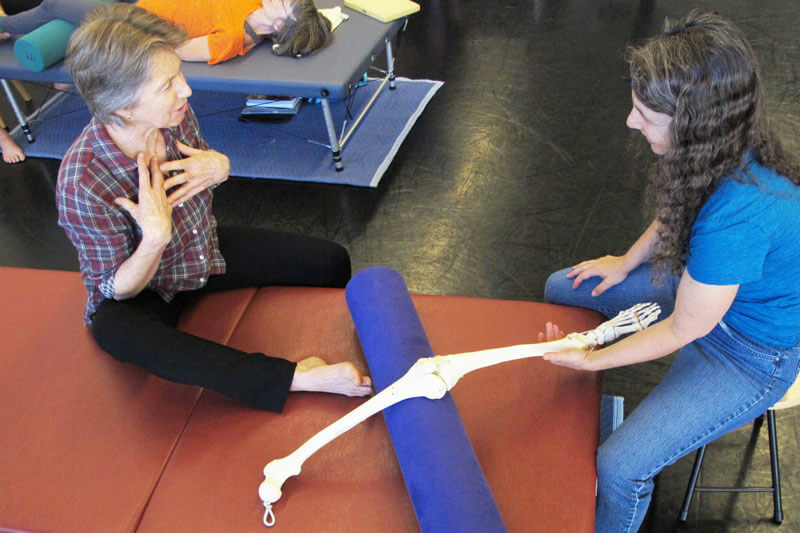 What happens during a typical day in the Feldenkrais Training Academy? 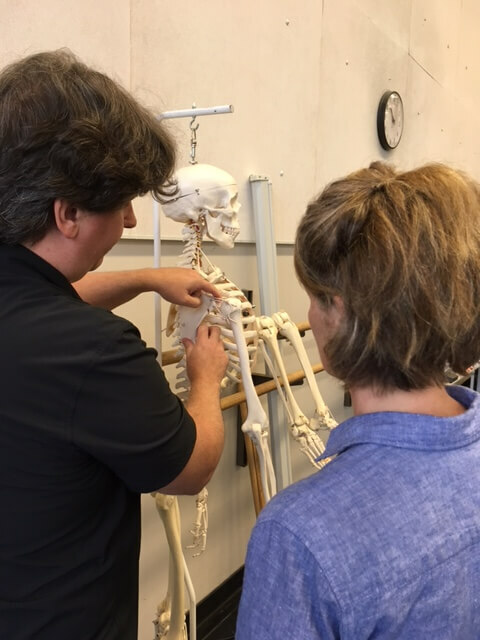 First, it’s important to know that as a Feldenkrais Training Academy student, your learning will occur both during and between the in-person segments. The in-person segments are an important time to delve deeply and intensely into the material. The time between segments is equally important: it’s a time to practice, study, and reflect. We’ll hold monthly online classes and bi-weekly mentoring groups to ensure that your learning continues year-round. The FTA offers varied methods of study to ensure that you are engaged, curious, and receptive to the myriad learnings in this incredible journey. 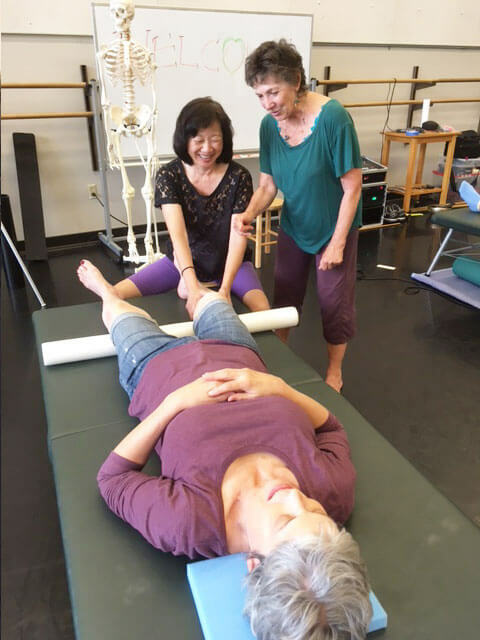 These include Awareness through Movement® (ATM®) classes, Functional Integration® (FI®) demonstrations and practice, engaging lectures or participatory presentations, business-building activities, and portfolio-building. 9-9:30am: Check-in and reflections: Any open questions? 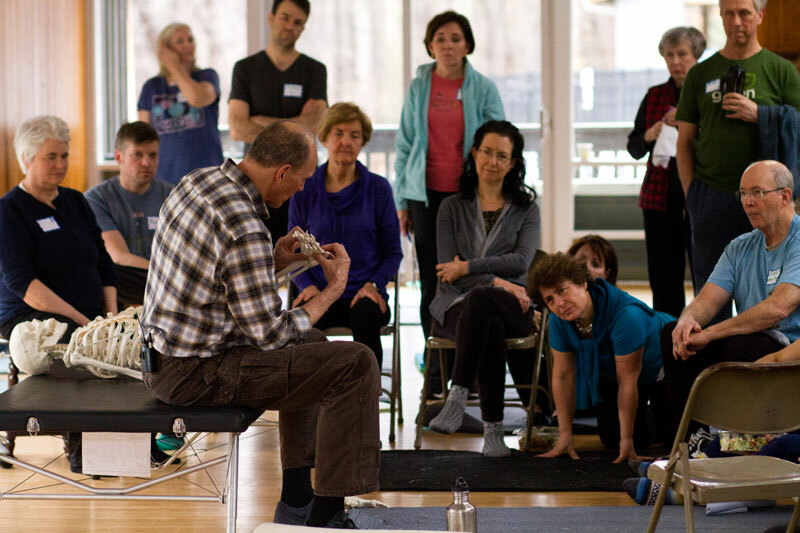 9:30-10:30am: ATM that deepens our understanding of walking by exploring how we shift weight from one foot to the other. 10:30-11:30am: Discussion of the principles and strategies used in the ATM. 11:30am-12:30pm: Demonstration and discussion of how to take the principles used in the ATM into a hands-on FI session. 1:30-2:30pm: Partner Practice: Work with a classmate to explore and refine both your ways of walking. 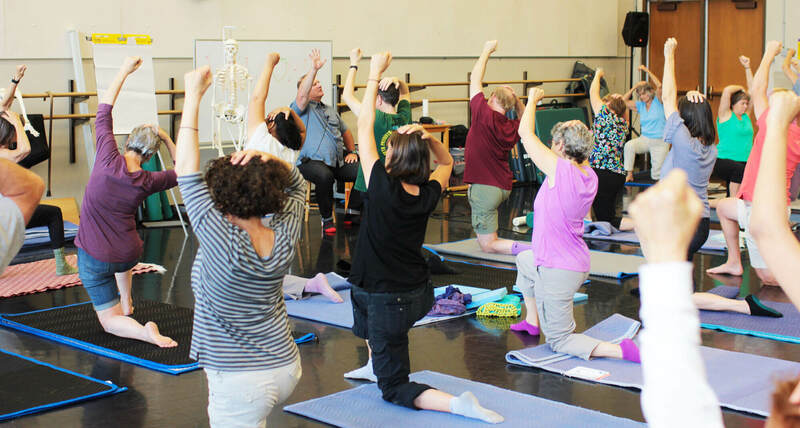 2:30-3:30pm: “Feldenkrais and the Brain” lecture and discussion with Roger Russell. 3:30-4pm: Portfolio Building: Write down reflections on your day, lingering questions, curiosities, etc. Often during the day, personal questions arise and are explored. For example, sometimes a person needs a clarification of a movement relative to their own patterns; or, a discussion ensues about how an ATM evokes difficult memories, elation, or confusion. Woven into it all is learning how, in your daily life, to utilize the composure that comes from the lessons. Though class ends at 4pm, the facility stays open until 6pm. You’re encouraged to observe the FIs the staff give to students after class. You can also use the time to study or practice—perhaps you explore one of the ATMs more deeply, experiment with an FI concept, or practice your active listening skills with a colleague. Perplexed about one of the readings? Talk about it over a cup of tea with your co-trainees. The space is open for you to use however you’d like. Of course, the following day might have a different schedule. What is always true is that you’ll explore how to create the conditions for learning that work best—for both yourself and your clients.